This month again, like the last time, I came home from work to find a surprise Fab Bag courier on the first day of the February itself; that's right, FIRST DAY 😍. 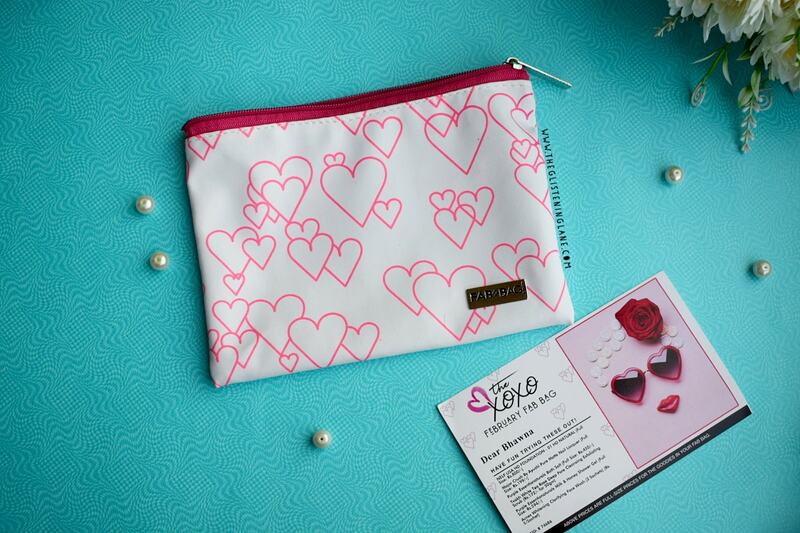 If you’re like me, then gift yourself some pampering adornments with Fab Bag on this Valentine’s Day! 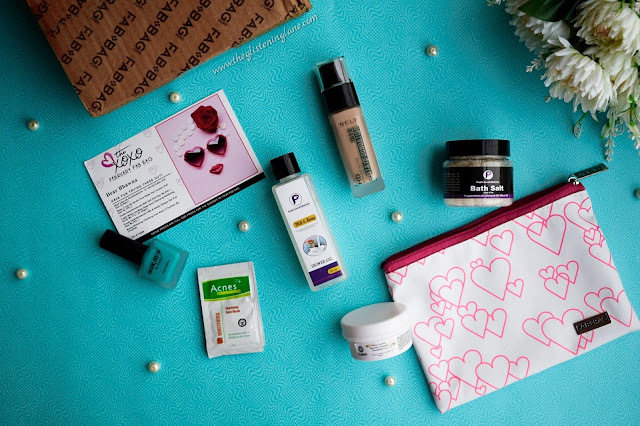 Recently, I’ve been loving all the makeup items that are sent to me in their subscription boxes, especially when they are new launches. Probably, that’s how I’ve developed my Sugar Cosmetics makeup collection. And, the first thing I did after seeing the courier was to assemble my tools for the unboxing. These tools include a big knife as well as a pair of scissors. The subscription bag of this month was pretty heavy and one of the products was kept outside the bag also. This sort of made me pumped up and I perceived a lot of full sized products to be inside. Few days back, I did receive an email from the crew of Fab Bag, asking me to select the makeup product of the month. 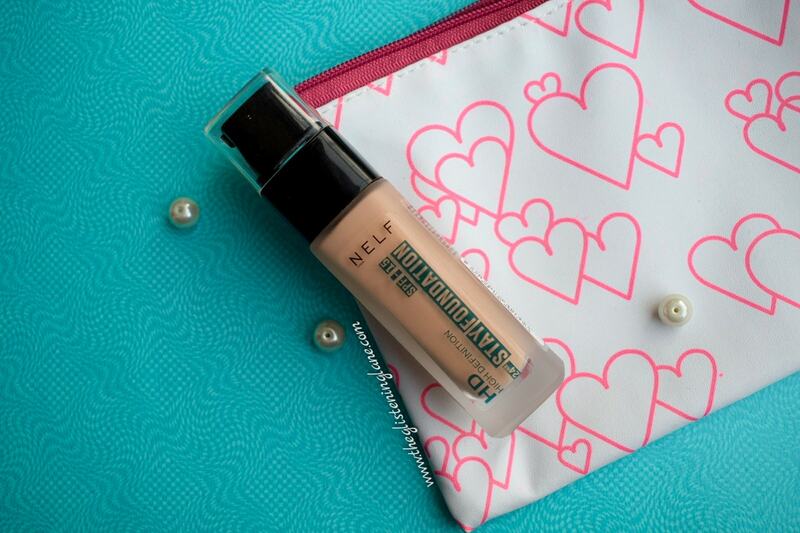 This month, we had an option to pick either the Nelf HD Makeup Primer or their HD Foundations. Although, I wanted to pick the primer but apparently it was sold out before I managed to add it to my cart. Thus, I picked up the foundation which I presumed would match my skin tone. 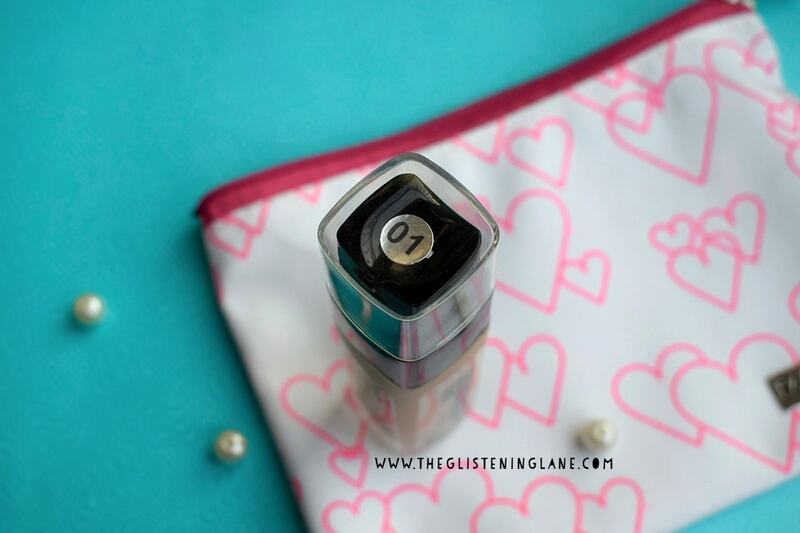 The XOXO: This month’s theme revolves around 14th of February, a.k.a. 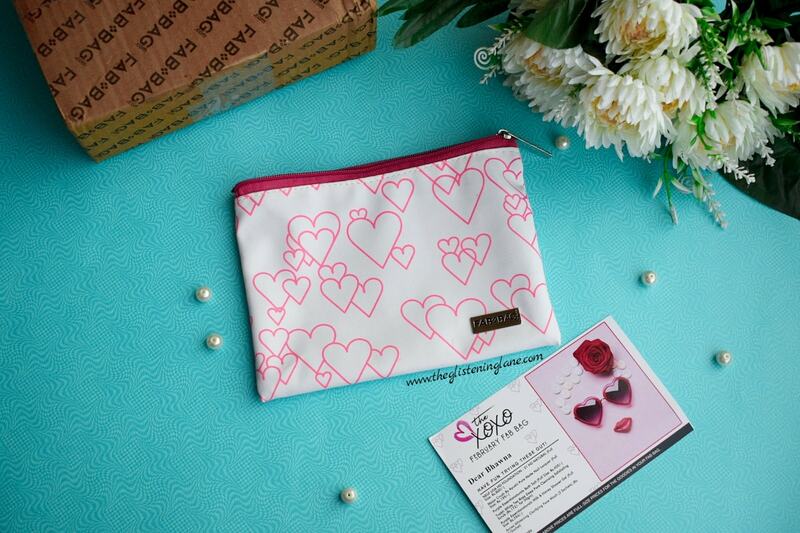 the Valentine’s Day which is why you’d see beautiful fluorescent pink heart print onto your subscription bags. There are two variants in this month’s bag; one in white and another in black. I received the white one and it’s decently sized for storing your stationery supplies or everyday makeup products. If you’re wondering what’s XOXO, then let me be your guide here. XOXO is the new way to end our personal letters as it means ‘hugs and kisses’. I’ve tried some of the Nelf products before and infact, I was about to upload review on liquid lipsticks by the same brand and miraculously, Fab Bag came up asking what shade foundation would I prefer! There were not a lot of shades available but I was happy to see that it was taken into consideration that even fair skin has different undertones. There have been times when light foundation would make me feel look weird and I’d end up picking slightly darker shade because even though I’m fair, we Indians don’t always fall into pinkish undertones; I hope I make enough sense. If you’ve been there, facing the same, “I understand your hardships, girl”. I wanted to procure their primer though, but it went out of stock I guess. Anyways, getting HD foundation in a subscription bag is definitely something to feel happy about. This has to be the star product of this month! The shade I selected is 01 - natural. The packaging speaks simplicity and class, although travel friendly or not, I’m yet to find out. When I took out this nail paint from my fab bag pouch, I initially assumed it’s from Nykaa. I got one at the Nykaa event and the packaging is quite similar. From the name itself you know that it’s matte nail paint. The shade that I received is 108 which is like a greenish-blue. I guess, I have something like this from the brand Jaquline USA. I’d probably give it away to my sister if she does not have this sort of shade. I like the formulation but I already have this colour. For more personally, this is a new brand and I’ve never heard of it before. 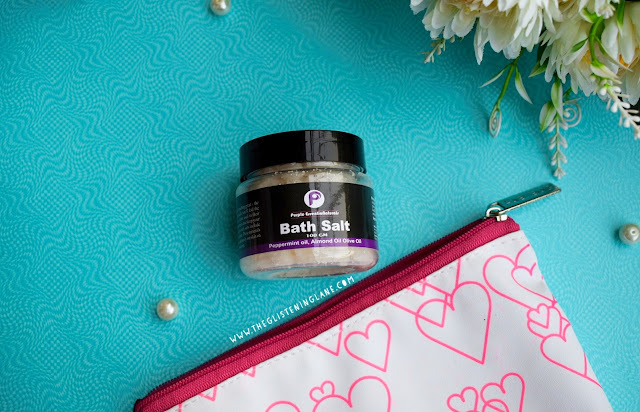 I love bath salts, especially on days when I’m really tired and want to relieve my sore feet. All I do is add some of the bathing salt into hot/warm water and top it off with few drops of lemongrass essential oil by Satthwa. Within few minutes of soaking itself, you’d feel so much better. One thing to note, never use bathing salts in case you have any cuts, injury or unhealed wounds. To be honest, I was so keen to try out the brand Tvakh! I’ve heard all sorts of good things about their products; they even had a sale ongoing during the time of New Year but somehow, I failed to add them into my vanity. This is my first treasure from this brand and I’ve even tried this once on the day I got my fab bag. The texture of this scrub is quite soft and creamy. It is a perfect exfoliator for combination to oily skin type! 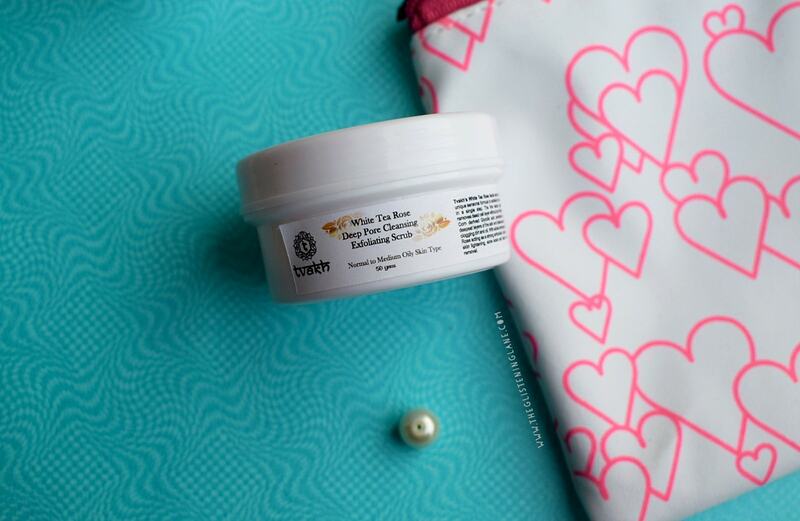 While it is cream based, the cream of the scrub does not leave your skin greasy. It contains mild exfoliants which will not aggravated your existing pimples/acne. When I read the ingredients list, I was happy and displease at the same time. First of all, the list of this shower gel is incomplete! All it says is that, it has a “detergent base” and what goes into that base, no one but the company knows. Yet, I assumed it will be enriching for my skin as it has ingredients like “milk” and “honey”. Just to wrap up in one line, it’s not hydrating but let’s just say it’s a decent shower gel at expensive price point. 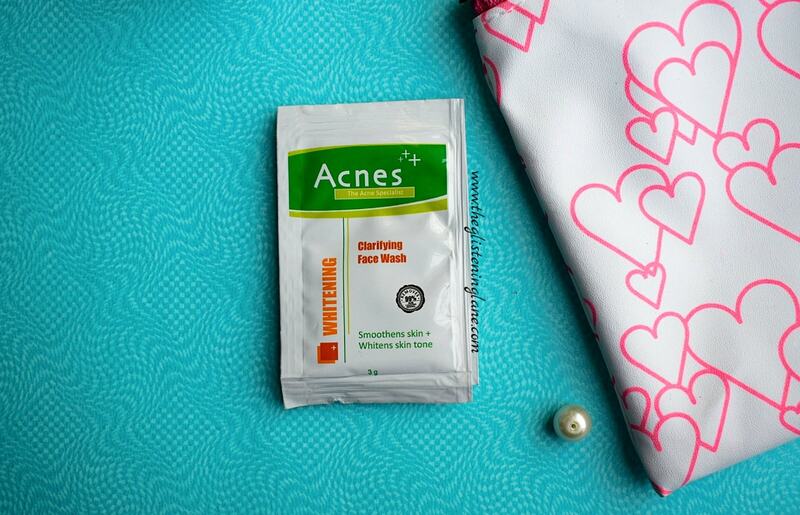 Last month also, fab bag sent two sachets of this cleanser but they were not meant for whitening the skin. I’m not really a fan of whitening products in general, plus these are sachets which aren’t really useful for me. They will end up lying in some corner of the house and I’d probably forget about them too.